Gaudí means ‘delight’ in Catalan, and the remarkably innovative architecture of the man who bore that name often lived up to the description. Yet even as late as the 1960s, he was regarded as an eccentric kook; hippies and Surrealists loved him, but rationalist architects and other respectable folk gave him a wide berth. But you don’t have to be in Barcelona more than 30 seconds to realize that his reputation has not only undergone a sea change, but fuels an industry of its own: you can take several all-Gaudí tours, purchase models of his benches in Park Güell or build your own Casa Batlló from a paper kit. The opera Gaudí, by Joan Guinjoan and Gaudí scholar Josep M. Carandell, premiered at the Liceu in 2000. 2002, the 150th anniversary of his birth, was designated International Gaudí Year, with exhibitions and events organized all over the world. His final project, the Sagrada Família, rockets ever higher, and is on track to be completed in 2026. Gaudí, however, would not have become Gaudí had he not caught the eye of the richest man in Barcelona, Eusebi Güell. Güell’s father Joan had a knack for making money, first as an indiano—a 19th-century merchant in Cuba—and then by investing in textiles, cement and nearly everything else. Eusebi had a privileged son’s knack for spending, and fancied himself the Lorenzo de’ Medici of Barcelona. Perhaps Eusebi and Antoní were destined to meet, but the actual conjunction occurred at the Paris Exhibition of 1878, when the 31-year-old Güell saw an extraordinary 10ft-tall glass, iron and mahogany display case for a Barcelona glove company. It was love at first sight. Güell tracked down the 26-year-old architect who designed it and when his father-in-law, the tycoon Marquis de Comillas, needed a chapel for his summer house, Güell recommended Gaudí. They were an odd couple. Gaudí had had a sickly, but precocious childhood in Reus. As a teenager he and a friend had proposed restoring the then-ruined medieval monastery at Poblet, one of the lodestones of Catalan nationalism, with revenues from tourism (this was 1870, mind, before there was such a thing as mass tourism). Once out of architecture school, his first jobs were working with Josep Fontserré on the Parc de la Ciutadella and building a workers’ cooperative in Mataró (1878)—which would be his one and only socialist fling. When Güell met Gaudí he was a wit and a dandy, spending his money on well-cut suits, attending the theatre, entirely the man about town—and ripe and ready to be patronized by the wealthiest families in Barcelona. His interest in Oriental and Arab architecture fed their fantasies (El Caprichio in Comillas, Casa Vicens in Barcelona), and when Eusebi Güell gave him his first major commission, for the gate, lodge and stables for the Finca Güell in 1884, it gave him his first chance to work on a theme (Verenguer’s Catalan epic, L’Atlàntida). Güell was so pleased that two years later he asked Gaudí, by then a close friend, to build him a mansion, money no object. 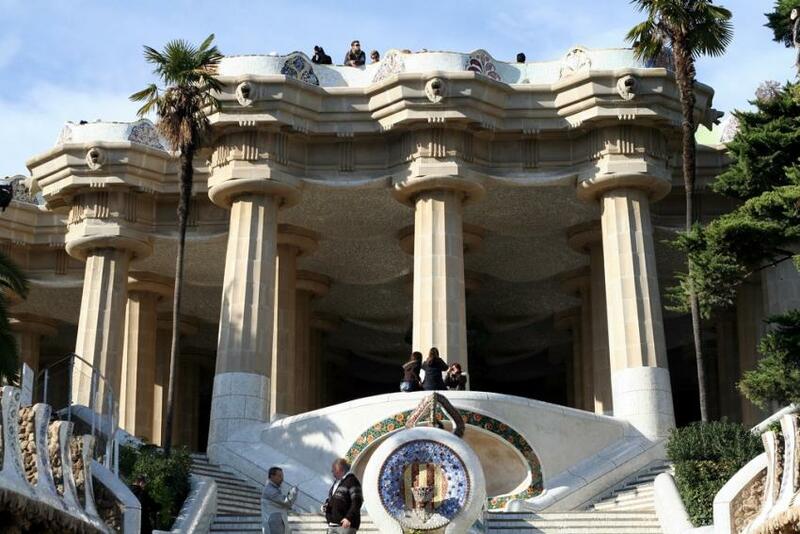 The result was fit for a Renaissance prince, a remarkable monument to the passions of Eusebi Güell – his love for Wagner and Shakespeare, his nationalism and morbid piety. Gaudí was always proud to be the son of a craftsman, but in the circle of Güell he became increasingly anti-democratic and authoritarian, while turning into a sort of neo-medieval religious crank. He told friends that he saw himself as God’s humble servant in a world made of punishment and pain. And by ‘world’ he meant Catalonia, which he rarely left. One might expect someone with Gaudí’s crabbed views to build dungeons for a Catalan Inquisition, but the crankier he got, the more wonderfully he built. His next project for Güell was the church for the paternalistic pseudo-cooperative Colonia Güell in Santa Coloma del Cervelló, and it marked the first time he cut loose completely from historical eclecticism and soared into the realms of pure imagination, creating one of the most remarkable spaces of the 20th century— revolutionary architectural sculpture, a cave held together by mathematics and Catalan craftsmanship. 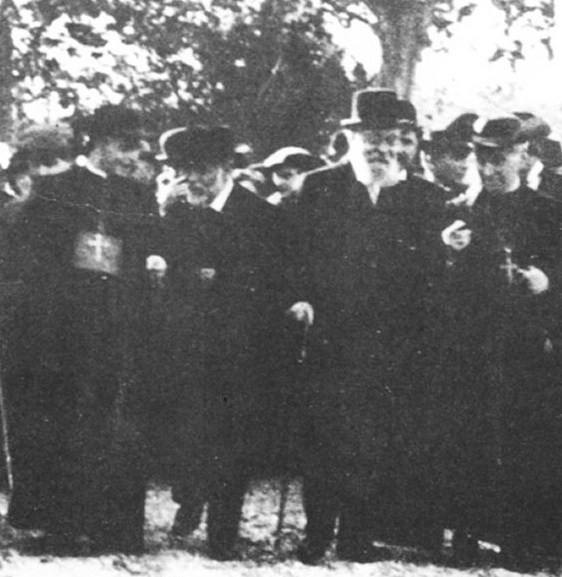 Güell’s next project for Gaudí was the Park Güell, ostensibly a residential colony for the rich but also a secret garden full of Catholic and Masonic symbols, idealizing ‘labour and philanthropy’ that would serve as a mystic Delphi for the Catalan people. Gaudí reached his pinnacle of fame in 1910, with the completion of La Pedrera. Güell took an exhibition of Gaudí’s work to Paris and showed it in the Grand Palais, and the architect was asked to build a hotel in New York. But the next year Gaudí nearly died of fever, and rather than embark on an international career, he concentrated all his efforts on the Sagrada Família. His reclusive tendencies (he never gave interviews or posed for photos) increased as the few people close to him died—his niece Rosa in 1912, his collaborator Francesc Berenguer in 1914, Güell himself in 1918. Some of Gaudí’s more pious followers have been clamouring for the Church to canonize him; the Association for the Beatification of Antoni Gaudí was founded in 1992 by a group of architects and artists, and in 2000 the Vatican opened the case to examine the two miracles that have been credited to his intervention; they are hoping for his beatification in 2016, to coincide with the 90th anniversary of his death.